When first exposed to Flamenco’s passionate, soulful melodies and driving rhythms, Holly knew she had found her home musically. This quickly led to a lifelong commitment to the art of Flamenco. 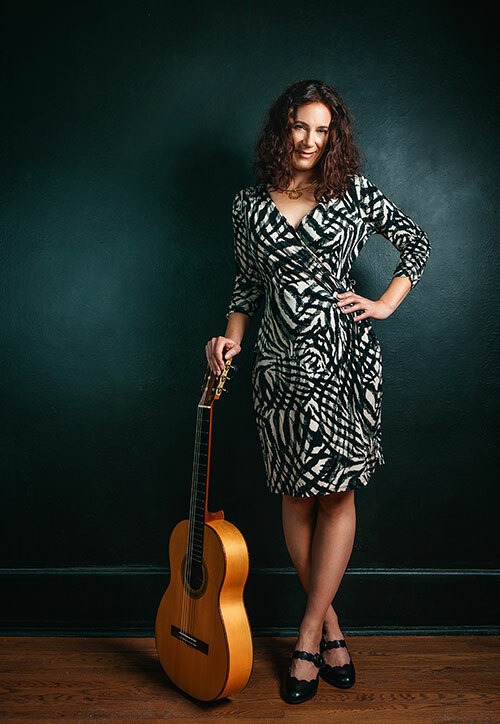 Holly regularly performs as a soloist, in traditional Flamenco ensembles, as well as with other musicians from the jazz, classical and world music genres, delighting and inspiring audiences wherever she plays. Holly produces her own public and in-home concerts, and has built a sizable following of repeat private event clients. She was a featured guest at both the Calgary and Edmonton International Flamenco Festivals, and participates as an instructor and performer each year at Calgary’s Classical Guitarfest West. Holly produces her own public and in-home concerts, and has built a sizeable following of repeat private event clients. Her debut recording, Transcendencia, features her original compositions and was released in October, 2017. It was backed by both the Canada Council for the Arts and FACTOR. Met with much acclaim, it received a Global Music Award, International Songwriting Award, YYC Music Awards World Recording of the Year and nominations for a Western Canada Music Award and Canadian Folk Music Award.